Buloke Shire Council is in the process of reviewing the Road Management Plan. Council maintains the road network according to this Plan. 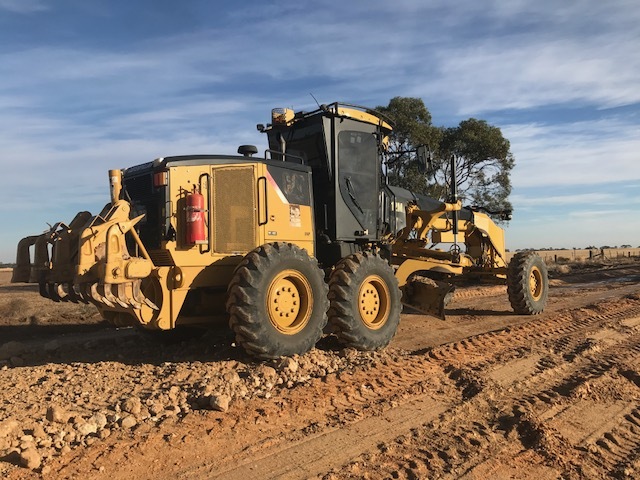 Buloke Shire Council’s local road network has a total length of 5,300 kilometres approximately 1,000 kilometres of sealed road and 4,300 kilometres unsealed roads. State Highways passing through the Buloke Shire are: Calder Highway, Sunraysia Highway and Borung Highway. These roads are maintained by Vic Roads. Any issues related to these roads should be forwarded directly to Vic Roads 13 11 70 or www.vicroads.vic.gov.au. Arterial Roads within the Buloke Shire Council are: Birchip/Rainbow, Birchip/Sea Lake, Birchip/Warracknabeal, Charlton/Boort, Charlton/St Arnaud, Donald/Murtoa, Donald/Stawell, Donald/Swan Hill, Hopetoun/Sea Lake, Patchewollock/Sea Lake, Robinvale/Sea Lake, Swan Hill/Sea Lake, Wycheproof/Boort, and Wycheproof/St Arnaud. All other public roads within the Buloke Shire come under the category of Municipal/Local Roads. The local road network is managed by Buloke Shire Council. All issues in relation to these roads can be reported to the Buloke Shire Council on 1300 520 520. Council's Road maintenance program aims to provide an adequate road surface and to minimise safety hazards to vehicular traffic. All road maintenance is undertaken in accordance with Buloke Shire Council Road Management Plan. Generally, maintenance seeks to retain the current state of an asset (i.e. road, building, drain, etc.). Any work that alters the state of the asset significantly falls into the category of improvement works. Each road, no matter how carefully designed and constructed or whether it is sealed or unsealed, will deteriorate as a result of traffic, climatic conditions and pavement materials. Maintenance methods and levels vary according to the road classification and whether the road is sealed or unsealed.